If you found a flash drive on the ground or someplace out in public, what would you do with it? A kind-hearted person would of course want to get it back to its rightful owner. But to do that, you would need to connect it to a computer and see if anything on the drive might indicate who the owner is. But… you might want to think twice about doing that. There’s a new kind of flash drive being made now, and anyone can buy one for $50. But it doesn’t store any files or folders. In fact, you couldn’t put any data on there even if you wanted to. The purpose of this flash drive – the actual reason it is built – is to kill your computer. Or any computer into which it’s inserted. The USB port on your computer actually has a little bit of electricity in it. That’s why you can plug some things into a USB port, and you don’t have to plug them into an electrical outlet (like a portable drive for doing a backup). Some things require just a little bit of voltage, so they can run on just the power that’s being delivered by that USB port. But this new drive has an electrical part on the inside known as a capacitor. A capacitor stores electricity. 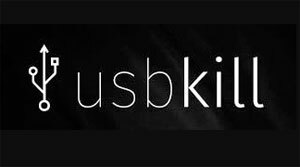 So when you plug this “killer” flash drive in to a computer, the capacitor takes that little bit of electricity being delivered, and it stores it. Then it gets some more and stores it too. And again, and again. It just keeps storing up more and more electricity until it eventually has a very large electrical charge being stored. When it gets to that point, where it’s storing lots of electrical energy, it suddenly releases all of it at once. All of that voltage and current is way more than a computer can handle, so it fries the motherboard and that computer is dead. And how long does it take for that entire process to happen? A small fraction of a second. It’s pretty much instantaneous. And of course, the big question – why would anyone buy one of these things? Supposedly, for techs to use for “testing”. There are all kinds of warnings about how you shouldn’t use this device to destroy anyone’s computer, but you know those warnings are only there for legal protection and to avoid liability. People are going to use these things to kill the computers of people they don’t like, or maybe as some kind of a “prank” – but it’s sure not a very funny one. An interesting aspect of this is that there are people who know what this thing does, and yet they still stick it in their own computer just to watch it happen. Check the video below – it shows a bunch of these guys doing just that. And one of them even sticks it in the USB port on his CAR. So if you happen to see a flash drive that doesn’t seem to belong to anyone, and you’re curious about what is on it, you might want to just toss it in the trash. Or at least try it on a computer you don’t care about.